Using CAD for Planning Saves Time and Money! You’re probably familiar with the idea of computer-aided design (CAD) but are you fully aware of how it can help you save time and money? 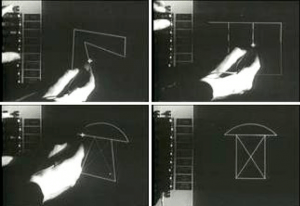 CAD was developed at MIT in the early 60s – at that time it was called “Sketchpad”. Using Sketchpad one could interact with a computer using a light pen to draw directly on to the monitor— this was pretty state-of-the-art technology when you think about the user interfaces that were available at that time. Becoming mainstream for Aerospace and Automotive by the 70’s, CAD has slowly morphed into the software that architects, engineers, and manufacturers use to create precision drawings. Simply put CAD modeling helps us speed up the prototyping process by turning flat one dimensional designs to two-dimensional or three-dimensional models. These models can then be rotated and viewed from any angle. CAP Fixtures uses this sophisticated technology to make pinpoint accurate measurements, spot design flaws, and conduct advanced analysis on designs BEFORE any prototype is manufactured. In addition to a single unit, we use CAD to model complete floor plans – allowing the viewer to actually ‘virtually’ walk through the plan, catching flow and sight line issues much earlier in the planning stage. 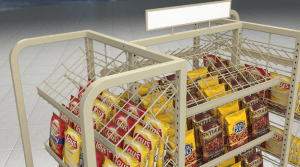 If you know what it costs (in time and money) to get one fixture prototyped, you can imagine just how awesome CAD modeling can be for your next planning project. Always custom, never cookie-cutter, but at the same time NEVER unnecessarily over-engineered – CAP Fixtures is always looking for innovative and creative ways to reduce R&D cost and planning time, while at the same time responding to our client’s specific needs in our high-touch customer-focused ways. Exceeding expectations at every turn, we apply our significant industry expertise and resources to design one-of-a-kind customer experiences. 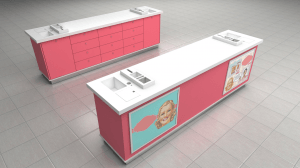 In the images shown here, CAP provided complete 3D renderings to assist their clients in conceptualizing store plans before the prototypes were fabricated. The savings to this client was significant, but as important was the ability to ensure that the first buildouts were as complete and well-thought-out as the last in the wave. These renderings represent the type of design and engineering rigor that CAP Fixtures puts into planning projects. At CAP we are constantly bringing new solutions to the table, as we design retail spaces that engage customers in the shopping experience, and at the same time reducing lead times, speeding up install times and setting new standards for durability and aesthetics. 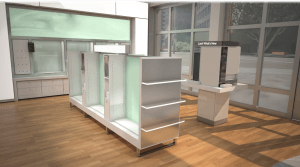 CAP Fixtures Once Again Joins Industry Execs at StorePoint Fashion 2019!